The book Nirbachito 100 Kobita is a poem book that has unique creation and this creation has a different poem world. In Bangla poem, there is always remain the emotion style and this style has popularity, touching heart and beauty. In this book you will find the poet very sad who has got pain and express the emotions of his as pained, meditative. He express his emotions as pained to the natural beauty of our mind and makes our mind soft, cool. In the book of Nirbachito 100 Kobita the poet continuously express the village, field, past life, the smell of the earth and essence of life. The witting style of the poet Mahadeb Saha is simple and sensitive. His loves poems come up the beauty of life and emotions of tears of eyes. The main attraction of his poetry is emotional pain and sadness. 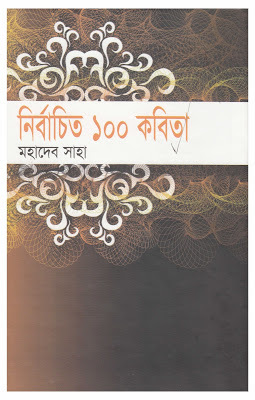 By the way, If you want to get the Bangla poem book named Nirbachito 100 Kobita or selected 101 poem by Mahadeb Saha, you are required to click here!